Ross Hunter (back to camera) has just given Vince Chiarelli, Rockford College Radio General Manager, a framed copy of the 5th Dimension's Aquarius. That was the first record played from the lower Burpee Center studios when WRCR moved to the location in the Fall of 1970. 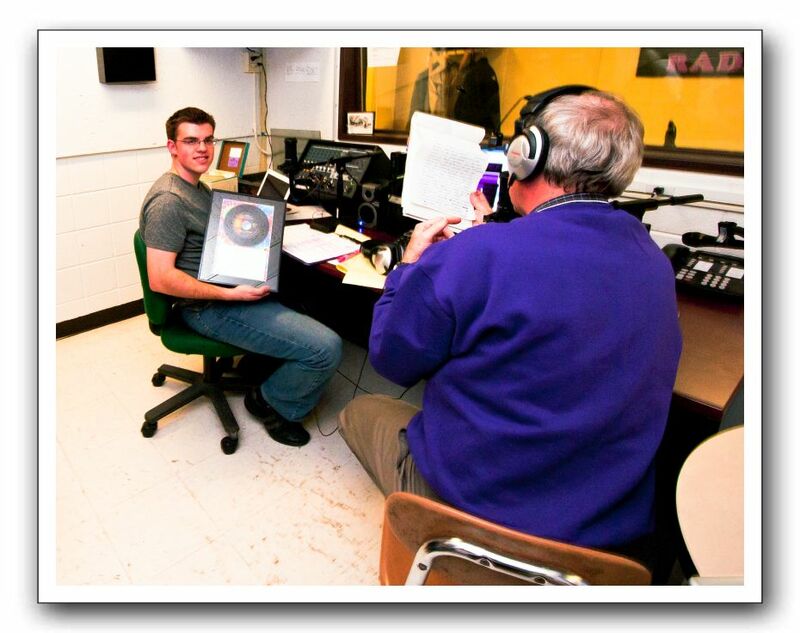 The presentation was made midway through the Old School Radio Show broadcast of oldies voted on by WRCR alumni.